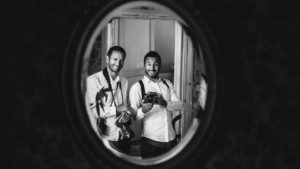 Why a wedding photography duo? Working as a duo allows us to cover every angle of a very dense event. It also enables us to explore and develop our creativity without missing out a single important moment. But over all, it allows us to capture the magic happening behind the scenes, little things that would go unnoticed among the excitement and stress of the day. We can cover both the bride and the groom preparations, and have one of us ride in the car with the couple. It also allows us to explore unusual angles and framings, get out of the ordinary. Our plans don’t have a time limit. In most cases, our involvement goes beyond and above what was originally agreed upon. The « Preparations + ceremonies + cocktail” package usually starts early in the morning and goes on until the first course is served. If you are planning for a spectacular entrance, or fabulous speeches, they will be photographed. The plan including the evening ends after dessert and the first dance, shortly after the dance floor starts filling up. This is assuming your wedding day will follow traditional guidelines as known in France. If you’re crafting a special day that doesn’t seem to fit in the above, no problem, let’s talk about it and figure out something that works for you. Since 2014, we have received many awards and our work had been published on several national and international blogs specializing in photography and weddings (see references here). 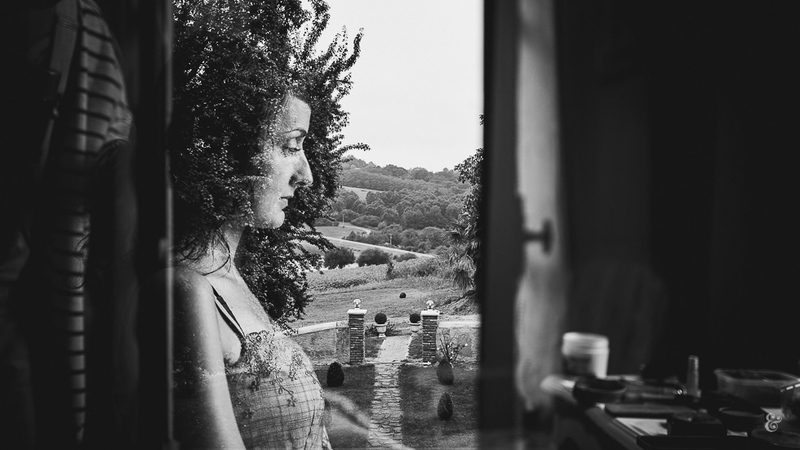 We are now ambassadors for the Regard d’Auteurs label, a French high-end wedding photography collective. But our most important references we would like to share with you are the emotion loaded notes “our” newlyweds left for us. You can find them on our blog. The number can vary a lot, depending on conditions and duration. We don’t set a minimum or maximum limit by contract, but to give you an idea, it varies around 400 and 1000 pictures. All our packages include preparatory meeting, scouting if required, travelling within south Aquitania, the photo-shoot, post-production and delivery. We provide you with all our pictures in high-definition, and, if you want, we can also send them to your guests. Upon request, we include a couple’s session on D-day, but only if you feel like it. Our price list starts at 2500€ for a wedding photo-journalism report. Be in touch and we can tailor-made an offer to cater for your needs.